Every new year, I have a tradition to find an anthem song. This song is one that I want to reflect what I hope for the upcoming year. Sometime it has an important message that I know I will need to keep dear to my heart or other times it requires me to challenge myself. This year I decided my word would be FEARLESS, so I found a song that reflected that. A few months ago, a friend introduced me to the music of Elizabeth South. She's actually local to where I live, has a beautiful voice, and I secretly hope to meet her someday! My friend introduced me to this song when I was in a state of doubt and trying to figure out the direction I wanted to take my business in. She could see I was drowning in doubt and fear, and reminded me I couldn't wait until the fear went away before I took a leap of faith. 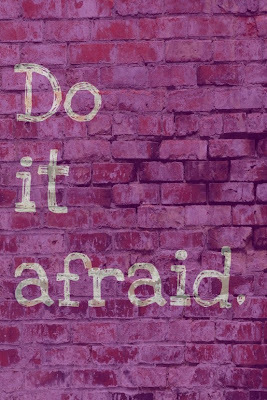 She pointed out that I would have to do it afraid, which happens to be the name of my anthem song for this year. Elizabeth wrote a beautiful song about not waiting until our fears go away before we try new things. I don't want to be the one who choose every time to walk away. The song reminds me that its okay to have fears, but that I can't let them be what holds me back. I find, especially in business, that fear can be crippling and prevent us from achieving all that we were meant to do on this earth. So I have a challenge for myself and for you; if you could dream up something you want to do in the next year, what is it? 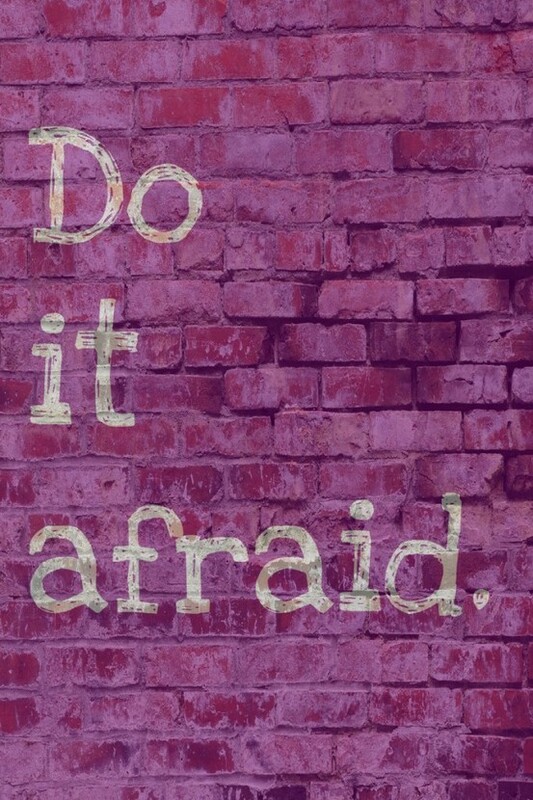 If fear is what's stopping you, then remind yourself at every small step forward that you can do it afraid! "I learned that fear ain’t going nowhere. I came to imagine fear as a traveling companion – the guy driving in the lane next to me – in my field of vision but not actually in my way, unless I let myself get distracted." So here is to a year of doing things afraid, taking risks, and leaps of faith and growing my wings on the way down! What are YOU going to do afraid this?